Payday loans are bound by federal and state laws. As lenders, they have their set of rights and responsibilities, and as a borrower, you are also protected by your rights. State law will outline the maximum amount that you can borrow as well as the repayment schedule. For example, Montana limits cash advances to $300, while Illinois has a higher cap at $1000. Regardless of the state you reside in, you must know what your rights are under your state's law. Before committing to and signing the loan documents, the lender must provide all information regarding the costs; including but not limited to, interest rate, APRs, finance charges, loan extension fees, etc. You must be allowed to fully understand what the loan will cost you. Payday lenders must give you information on their available payment plans and schedule. The information should be readily available during the application process. You can also find this information on the company web site. Despite the various payment schedules, it is recommended that you pay back the loan as soon as possible to prevent more fees. Payday loans that are left unpaid may be referred to collection agencies. However, it is not within the lender's rights threaten to you with criminal prosecution. You may be brought to a civil court where your wages might take a hit, or a lien may be implemented against your assets to pay for the loan. Some states do not allow collection of court costs. The rights given to a payday loan borrower vary by state. For example, Washington State allows you to cancel your payday loan within one day. However, if you applied for a loan online, you might not be able to cancel your loan. 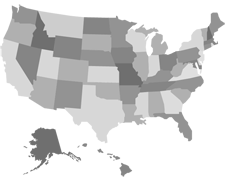 Information on payday loans is available in your state's agencies. Before you enter into a loan transaction, you must know your rights. Research the company by looking at their website or asking for more information through relevant channels in the government. Understand their rates and payment plans, and then compare various payday loan companies before you make your choice.